Batteries One button size cell. To replace the battery unscrew the back of the unit. Links See HP-41 for many useful links. Comment Yet another HP clone from SwissMicros. 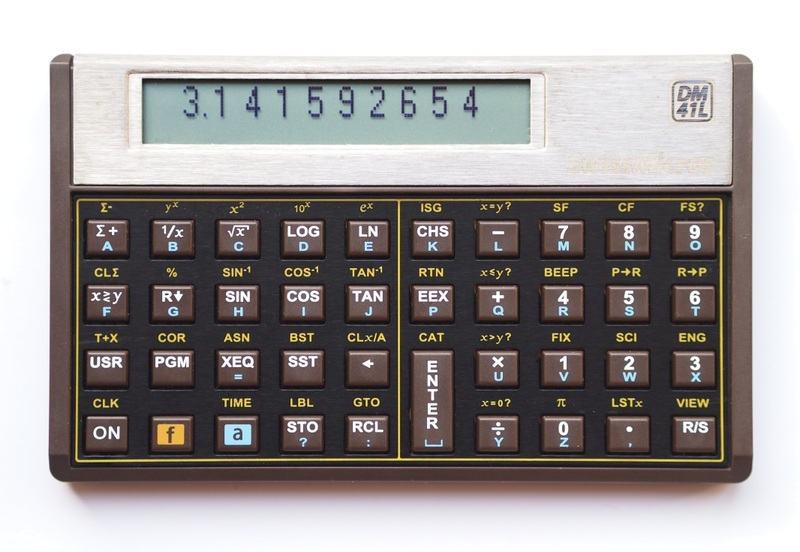 See HP-41 for the original version of this calculator. 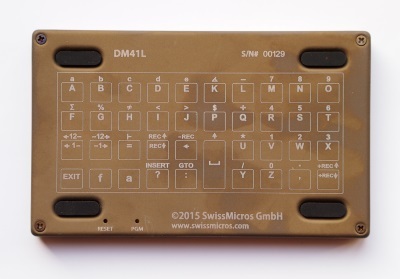 The original HP-41 had exactly the same 39 buttons than this DM-41L. This includes ON/USER and PRGM/ALPHA. But since these keys can have secondary functions the DM-41L also offers "T+X", "COR" and "CLK" (a running clock). To view the installed software version turn the calculator off, press and hold the "E" key, then press "ON".